Sunbeam offers complete production services whether you’re shooting at the studios or on location. We can provide support for overseas production teams who need someone on the ground. Our invaluable knowledge and professionalism ensures a comprehensive production package from concept through to completion. Please see below for set builds and prop sourcing. Sunbeam’s background is in Set Design and Prop Styling. With over 15 year’s experience backing us up we can probably source or build anything you need. We also have several bits and bobs on site ready to install from flats, to cubes, to chairs, sofas and stools. Send us over your brief and let us take care of all your set and prop-sourcing needs. Our equipment partner, Pixi Pixel, is a progressive camera and lighting rental facility for Film, TV & Photographic industries. With lots of stock held on-site at Sunbeam you’re covered for any standard lighting need. Other kit can be brought in from Pixi Pixel’s central depot and, when ordered in advance, incurs no delivery charges. We can organise your lighting for both on and off site so if you’re shooting a day in studio and then taking the show on the road it’s no problem. Likewise, if you want to collect gear on your way to Heathrow we can accommodate that too. Feel free to contact Sunbeam or Pxi Pixel for quotes. 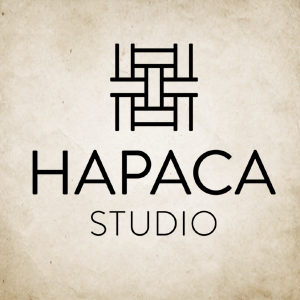 We get our custom and pre-painted canvas backdrops from Hapaca Studio. They have beautiful ready-made backdrops and an easy to order from website. They also paint custom backdrops to order. Call us or get in touch with them directly for more information.